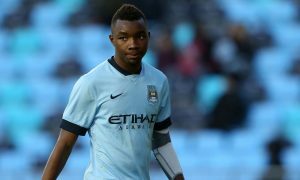 Considered one of the brightest prospects at Manchester City, Thierry Ambrose endured a setback in his development when, in 2015, he suffered a serious knee injury, severe enough that it kept him out for almost a year. The 19-year-old returned to action last November, playing 25 minutes against Everton U23s for City’s EDS. He quickly found form after that, an impressive feat after such a long injury, bagging 4 goals in his next 4 games in the Premier League 2, including strikes against Chelsea, Everton and Arsenal. Ambrose, who joined City at the age of 16, spoke at length to Foot Mercato about his injury, recovery and future hopes. Next season promises to be a crucial one for young Thierry Ambrose, a year that could determine if his long-term future is at Manchester City or elsewhere.